Find your modeling agency in Milan, Italy. These agencies provide quality photographic projects, from advertising spots for the beauty industry to international projects in other European cities like London, Paris & Co. Good modeling agencies in Milan are perfect for photo shootings & videos: the agencies organize expressive and changeable talents for campaigns, spots, photo shootings and shops. They attach great importance to ambition and punctuality. Together, your agency and you can achieve representative shooting results that convince you and of course your customers, too. Only when the model is paced in their activity their performances in any planned and upcoming photo shooting can excel. Flexible solutions are standard for models, and like in most industries, the customer is king. Professional models can motivate teams and photographers to get the best result out of each project. For this to happen models need to adapt to different situations, though! Product, location, model: Every single part of the job must be accurate, so the client company will achieve the result they want! From photo shootings for international fashion chains to the magazine cover shooting to the great catwalk at a fashion show, at the Fashion Week… nothing is impossible! You would like to become a model in Milan? Maybe you are also interested in agencies in Barcelona (Spain) or Paris (France). Here you have all modeling agencys in Milan ranked in a list. Elite Models is one of the leading model agencies in the world. They support famous top models like Cara Delevinge, Kendall Jenner and Cindy Crawford. They are connected to all luxury and established brands which offers the models the possibility to get amazing jobs. Lot´s of them have already worked for magazines like Vogue, Hommes or Garage. Milan, Hong Kong, New York…. the Elite Models agencies surround the whoe world. Models who are supported by the lab agency have many opptions to be an international topmodel one day. They can get jobs for runway shows, magazines or campaigns. The ageny is connected to the best brands in fashion and entertainment. BOOM MODELS is a young but still standing as a prominent reality with international success in the modeling industry.They have so beautiful models. They focus on the body and the faces fromthe models. Fashion Model Management represents models from all over the world through its worldwide connections. They can provide a constant supply of models to all markets: from Haute Couture shows to editorials, from fashion campaigns to tv commercials and cinema. I Love Models Management is a successful male modelagency. The directors have many experiences in the model business and nurture their models. Armani, Elle and Bulgari are just a few of the brands the models work with. This Model agency is based in the heart of Milan. They manage the careers of fashion and commercial models. 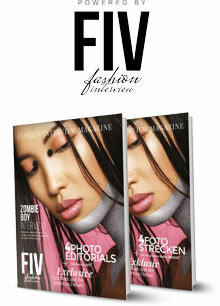 Edittorial, commecials, fashion shows and advertisig are job possibilities they offer. Their Models have very expressive faces and bodies. Milano Model Agency is a full service modeling agency supplying fashion, commercial and editorial models to a wide range of clients throughout Italy and Europe. They represent models, hostesses ,actors of all ages in the areas of feature film, network television, local and national commercials. 2 Morrow Image is a very good model agency with a lot of models. They shoot only women. Go on the website from 2 Morrow Image and look on the models. Special Management provides promising faces and bodies. Their models have the potential to step in to the international model business. They only have women models and are very successful with them. NBM Models is one of the most famous model agencies in the world. They provide professional service to the fashion, television and advertisig industry. They have an extra category for special bookings which includes music, sport and social media. This agency focuses on develope new carrers and help the young models to transform into stars.They support them a lot and give them space to grow. The photos at their website look beautiul. NEXT Management is a global modelling agency that connects top talent in fashion and entertainment with leading international brands. Established in New York in 1989, the agency quickly expanded into key markets: London, Paris, Milan, Los Angeles, and Miami. Publications and brands know to look to NEXT for the best new faces and the most established fashion models with global recognition. Urban Models Milano represent a professional model agency. They have so beautiful Models. Go on the website from Urban Models Milano and convince yourself! This agency is placed in Milan and have a second one in rome. They offer high quality models and give them the posibility to have different jobs in different domains. The models can be a part of catwalks, photos, editorials, advertising, fittigs and showrooms. IMG Models is a talent discovery and model management agency. Next to Milan, you can find their agencies in four other world capitals: Paris, New York, London, and Sydney. This agency provides men, women and celebrities. They are very professional and their models are often seen at runway shows for established labels for example they walked for Philipp Plein and Fendi. This model agency has a big selection of beautiful models. Some of them already had good jobs for different domains. They work together with women and men. Ice Models is situaded in the heart of Milan where they care about their models. They organise the daily activties and jobs. They only work with women and have an extra category for New Faces. My name is Shashi chaudhary, from Mumbai India. I love modeling and I want to be model. Sure! Here is a ticket to Vogue red carpet, and please don’t be late for the Oscar premio!